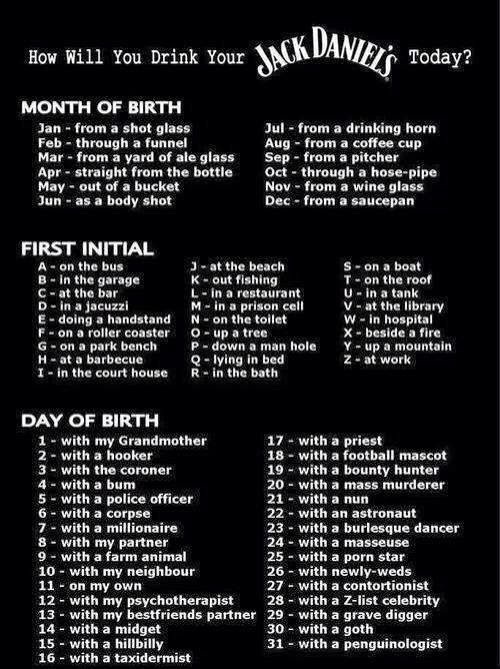 Dumbass Drunkery and Fun & Games: Jack Daniel's Drinkin' Buddy Chart! I told you that I am a Redneck. From a coffee cup in a prison cell. Onnacounta makin' a corpse is thirsty work. I agree, s2. Shankin' a guy 40 or 50 times *will* makle a felon thirsty. Midgets are cheap dates. At least you'll have most of the pitcher for yourself. Out of a bucket at the beach with a gravedigger. Standard Saturday night for me really. That reminds me of the scene in "Creepshow" (?) where Leslie Nielsen gets buried up to his neck at the beach - only his head is sticking out of the sand. Did I mention that the tide is COMING IN?! Dumbasses....I discovered "PinkNoam"s blog a few days ago. Click on her name and give it a read/. It's VERY good! 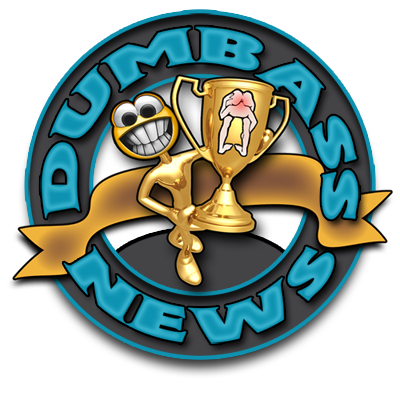 P S "The Pink Noam" has been added to the "Dumbass News" blogroll!